No Monthly Data or Cellular Fees on Any of Our Products! VirtuAlarms M2M-Mini-Cell works in both the U.S. and in Canada and are not “LOCKED” into any Central Station, allowing the Dealer to send alarm signals to ANY Central Station of their choice, Worldwide. The highly sought after M2M-MINI-CELL communicators are designed to be easy to install and even easier to operate. It comes with a 6 wire harness that is simple to install. One pair of wires are for power and one pair for the Tip and Ring dial capture output of the alarm panel. The 3rd pair of wires are used for remote key switch arming if desired. The Dealer can also have their logo added to the remote arm/disarm App for the M2M-Mini-Cell. 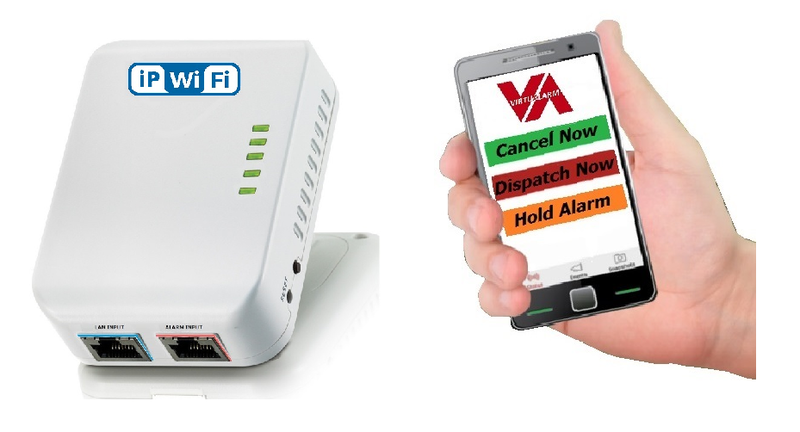 With the VirtuAlarm platform and the M2M-Mini-Cell, the Dealer can turn virtually any new or existing alarm system into a smart alarm, as there is no need to replace any existing equipment when adding the M2M-Mini-cell. VirtuAlarms flagship product is the IP-WI-FI Communicator. The IP-WI-FI works right out of the box when plugging into a local router or by using our easy Wi-Fi setup with a smart phone. Once connected, any alarm system will send its signals within seconds into the VirtuAlarm platform of the Dealers choice. Our IP-WI-FI can be used with confidence as it is centrally polled every 60 seconds for any loss of internet service for the absolute fastest and most secure connection possible, even over that of cellular communicators. VirtuAlarms’ Digital Diverter is the perfect solution for allowing any alarm system that uses a phone line to be re-directed to another monitoring center. to VirtuAlarm. The Digital Diverter was created to allow the ability to take over any “locked-out” alarm panel without the need to use the installer codes. The Digital Diverter works with all alarm formats with POTS lines, Land Lines or Digital VoIP Lines. Just connect the telephone line powered Digital Diverter between the alarm panels modular phone cord and the premises RJ31X or RJ11 telephone jack to automatically route alarm signals through the VirtuAlarm service platform. Then using the VirtuAlarm dashboard, the Dealer can change both the account number and the Monitoring center worldwide. 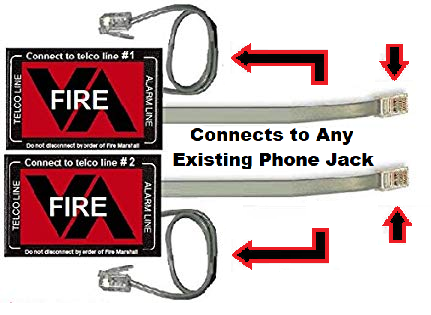 The Majority of UL Fire Monitoring is done using two (2) telephone lines to meet NFPA Standards. When a Fire Alarm Panel is either locked out or the assuming alarm company simply cannot reprogram it, we offer a PAIR of UL Fire Diverters to re-direct line 1 and line 2 independently. VirtuAlarm’s UL Fire Digital Diverters were created to change Monitoring Centers without the need to unlock the fire alarm panel programming. 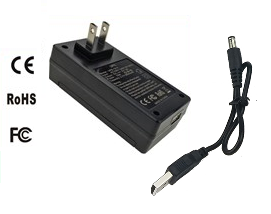 The Digital Diverter pair works with all alarm formats and on all POTS lines, Land Lines and VoIP Lines. Just plug UL Fire Diverter #1 into the first phone jack and Diverter #2 into the 2nd phone jack. Then plug the fire alarms line 1 into Diverter #1 and the fire alarms line 2 into Diverter #2. Each Diverter is fully powered using the telephone line voltage so there is no additional power required. All signals will then be automatically routed to the VirtuAlarm UL Fire service platform, allowing the alarm signal to be re-routed to any monitoring center in the world, using any account number you choose. VirtuAlarm’s patent pending, encrypted email alarm reporting turns any device that sends an email into a ‘Professionally” monitored system. 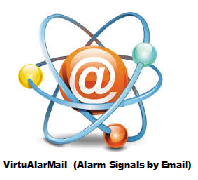 Using a patent pending algorithm, for each alarm signal type or zone, VirtuAlarm creates a unique encrypted email address and data string that any authorized VirtuAlarm Partner can use to program into a device to make it send an email usable for professional alarm monitoring.Once entered, it allows for monitoring of any DIY alarm system, Video Camera, Door Bell, Driveway Alarm or anything that can send an email. Our VirtuAlarmail service even works with A.I. systems such a Echo, Alexa, Google Home or Omega system for in home voice command alarm services such as “HELP-POLICE”, “HELP-FIRE” or even “HELP-I’VE-FALLEN”. 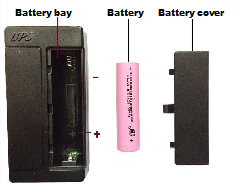 Most alarm devices, including our alarm communicators are normally powered from the alarm panels auxiliary power supply. However, in some cases, the alarm panel is either not a standard 12 volt system, or it’s already at it’s maximum power capacity. Before our Mini-UPS was developed, the only option is to use a bulky and costly UPS system purchased through an electronics or retail store. Our MINI-UPS is slightly larger than the standard power transformer, but has a built-in back-up battery to provide continuous 12 volt power to any of our communicators for up to 8 hours, in the event of a local power failure.